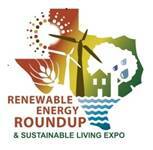 The Renewable Energy Roundup & Sustainable Living Expo is a full 3 day event on September 26th, 27th, & 28th at the Bell County Expo Center in Belton, TX. • Renewable energy resources; solar, wind, biomass and other resources and services – The Public Citizen booth will offer information on solar energy. • Do We Need Bees? For more details and a complete listing, go Demonstrations and Sustainability. Click here for a complete listing of the Speaker Schedule & Bios. • Saturday, September 27th, 9:00 a.m. – 6:00 p.m.
• Sunday, September 28th, 9:00 a.m. – 3:00 p.m. The event opens with information packed “Save The Planet? – Kids are the answer” day. This day is dedicated to nearly 1,000 Bell County area Middle and High School age students with an interest in environmental issues. There will be opportunities to learn about Living and Working In Space, Light Pollution – Saving the Milky Way, the Mysteries of Bee Decimation, Ecofriendly Gadgets, Electric Automobiles and Vermiculture to name just a few of the topics that will be covered. Admission is FREE for ages 18 and under on Friday only. Ages 12 & under are admitted FREE on Saturday & Sunday. Cost: Friday, Saturday & Sunday $8. 3-day Pass $20. Military, Senior & Student discounts available.